After a handful of massive mid-week parties in our Front Bar, PURPLE‘s night of hip hop, trap, beat makers, purple drank, and collaborations has graduated to The Danceteria! This time, they’ve enlisted Bes, Lunyp, Gum, Kitsch and a showcase from Acid Reign for a 90s Throwback Party. Free entry! Our latest mid-week party crew PURPLE are graduating from the Front Bar to the Danceteria this week for a 90s Throwback Party, so we asked them to give us an introduction, by way of YouTube playlist! This kid had rep back in the 90’s. Formerly a professional minor league basketball player, Master P has been at it taking the game to the next level since the 90’s with his wild rhymes and beats. So much respect for Outkast. They have always been one of my favourite hip hop groups. Never failing to bring anyone to the d-floor. You can’t go wrong with Luniz when you’ve got 5 on it. This track has spent many journeys on repeat in my iTunes.. 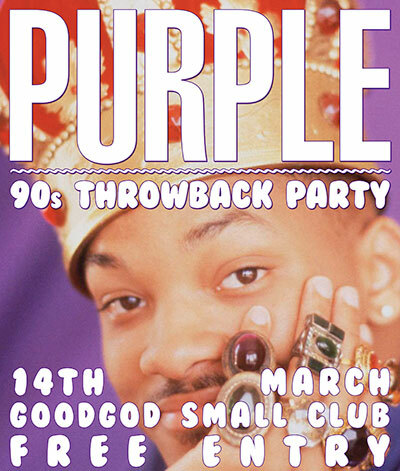 Check out Purple’s 90s Throwback Party on Wednesday 14 March! Free entry, from 9pm. 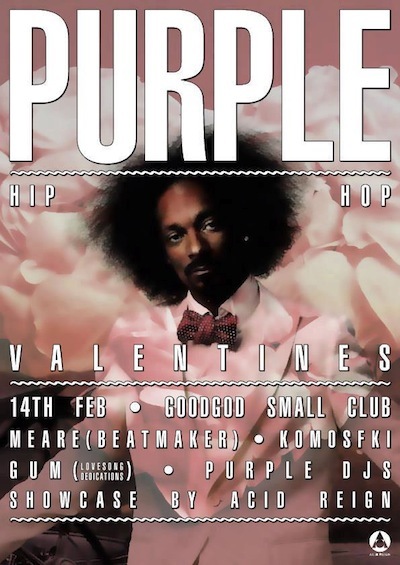 A night of hiphop, trap, beat makers, purple drank, and collaborations with Sydney’s established and upcoming artists, designers and music labels. Plus, fashion showcases by Acid Reign and Montana Miller! 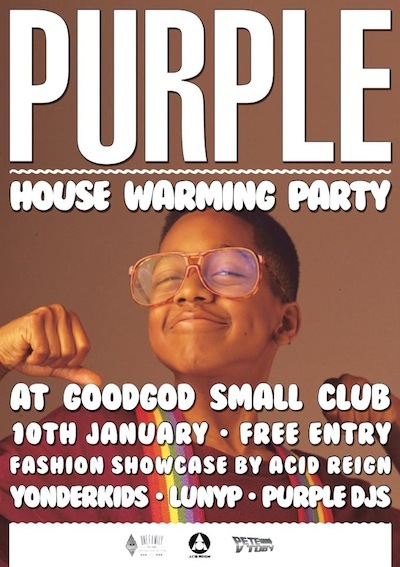 Goodgod welcomes Purple house warming party to the front bar! Come twerk, jerk or just kick it with to the tune of the newest rap & beatmakers.